Download 2 Gigabites der hohen Qualität und wesentliche Instrument-Töne in Wav und stellen den Fachmann her, der Musik-Produktionen klingt! Spice up your beats with one Shots and funky Horn loops in many styles and add some serious Groove to your productions. This is a LARGE SYNTH KIT with over 750 different electronically processed Drum Sounds to use in your productions! This one is sure to spice up all your music. This is a LARGE PERCUSSION KIT for use in LATIN or REGGAE or SOCA or anything that needs warm sunny sounds. Over 700 Perc Sounds to use in your productions! This one will wake up your beats. Complete FUNK DRUM KIT in Wave format. ALL SAMPLES RECORDED IN 16-bit/44.1 khz RESOLUTION! Create professional sounding music productions! 193 Files including Kick Drums, Snares, Hi Hats, Cymbals, Toms and more. Complete HIP HOP DRUM KIT in Wave format. Create professional sounding music productions! 193 Files Including Snares, Basskicks, Hi Hats, Cymbals, Toms and more! Complete JUNGLE DRUM KIT in Wave format. ALL SAMPLES RECORDED IN 16-bit/44.1 khz RESOLUTION! 195 Files Including Jungle Snares, Basskicks, Hi Hats, Cymbals, Toms and more! Complete POP DRUM KIT in Wave format. ALL SAMPLES RECORDED IN 16-bit/44.1 khz RESOLUTION! Create professional sounding music productions! 193 Files including Kick Drums, Snares, Hi Hats, Toms and more! These are the sounds from the classic Roland TR808 Drum Machine from which many hits have been made from the 80's all the way up until today. Over 160 drum Files. Complete ROCK DRUM KIT in Wave format. ALL SAMPLES RECORDED IN 16-bit/44.1 khz RESOLUTION! 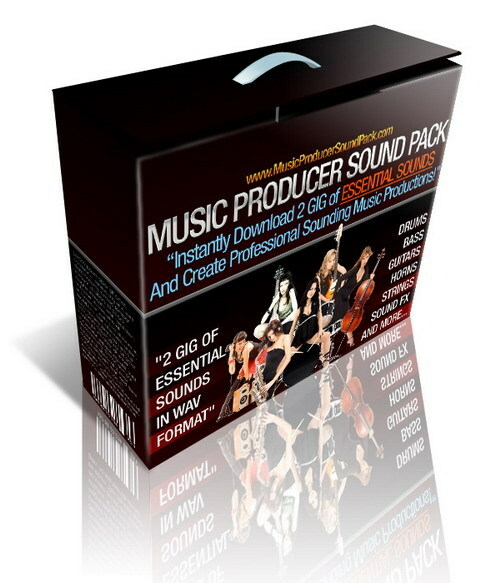 Create professional sounding music productions! 190+ Files including Nice Clean Real Sounding Rock Kick Drums, Snares, Hi Hats, Toms and more! Looking for a FAT LOW BOTTOM END? Get 1001 High Quality Kick Drums in WAV for use in your professional Music Productions. From the clean real sounding ones to the dirty nasty sounds, you won't need to search for another Kick Drum sound for a long time! Need that perfect Hi Hat sound? 1001 High Quality HI HATS in WAV gives you many choices. From clean long stretching sounds to the short dirty nasty ones used in all styles of music. You will NEVER need to search for another Hi Hat sound again! 1001 High Quality Drum Snares in WAV for use in your professional Music Productions. From the clean real sounding ones to the dirty nasty sounds, you will NEVER need to search for another snare sound again! 1000 Short Claps in High Quality 16 Bit 44 KHZ WAV format to use in your productions. Got an itch? Let us help you SCRATCH! Here are 100 Turntable Scratch sounds to use in your productions. Forward, Backward, even sideways. One shot samples. 200 Synth Bass sounds in WAV to use in your productions. All clean One Shot Samples Recorded in High Quality 16 Bit 44Khz WAV format. Here are 55 samples of Deep Loooong Bass Sounds to use in your productions. All recorded in High Quality 16 Bit 44Khz WAV format. No matter what style of music you produce, this is a perfect addition to your sound sample library. Goods and services provided by The Stolting Media Group. Automated Instant File Delivery by Tradebit Inc.
Dance Music Arpeggios 130/min für die Musikproduktion.